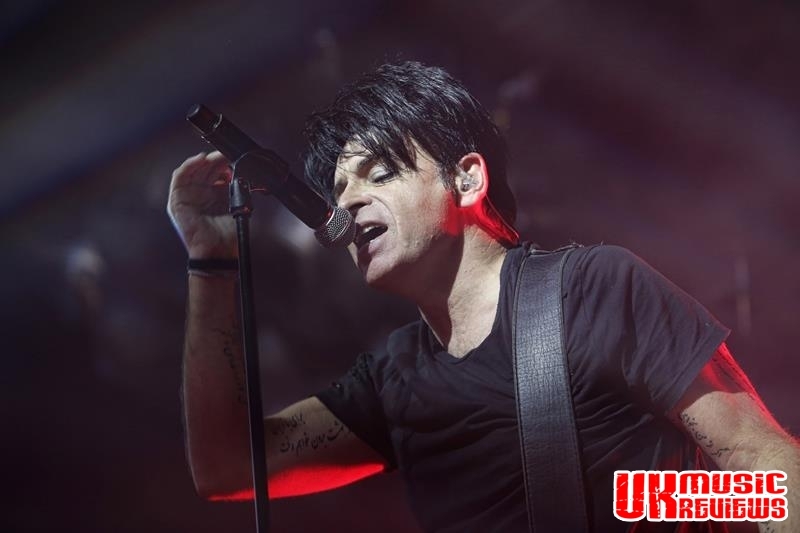 Last night at Rock City, Gary Numan treated fans both new and old to a revisit of the albums which made his reputation; Replicas, The Pleasure Principle and 1980 hit, Telekon, and his performance was dramatically different from that 1979 Top of the Pops debut singing Tubeway Army’s Are Friends Electric? 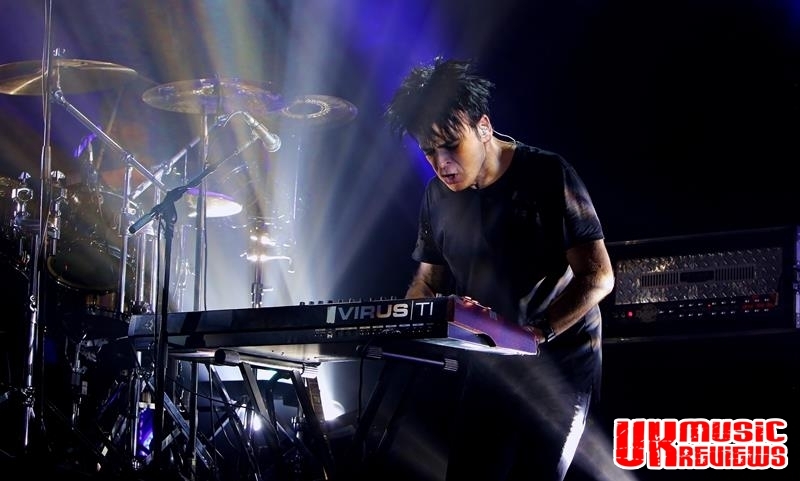 which launched him as the first mainstream electronic pop star. 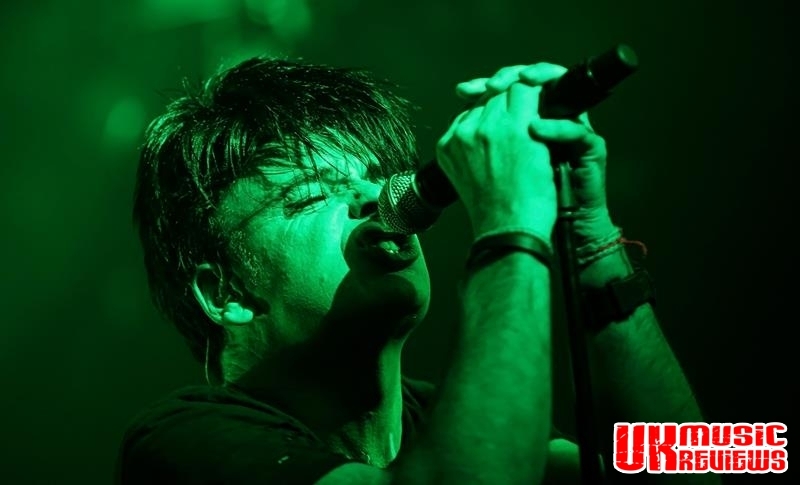 Looking ridiculously well preserved and with no sign of his famous, often imitated make up, heavy image and stiff stage presence; Numan came onto a stage swathed in green light and launched energetically into Replicas, the title track from the final album to be delivered under the Tubeway Army moniker. 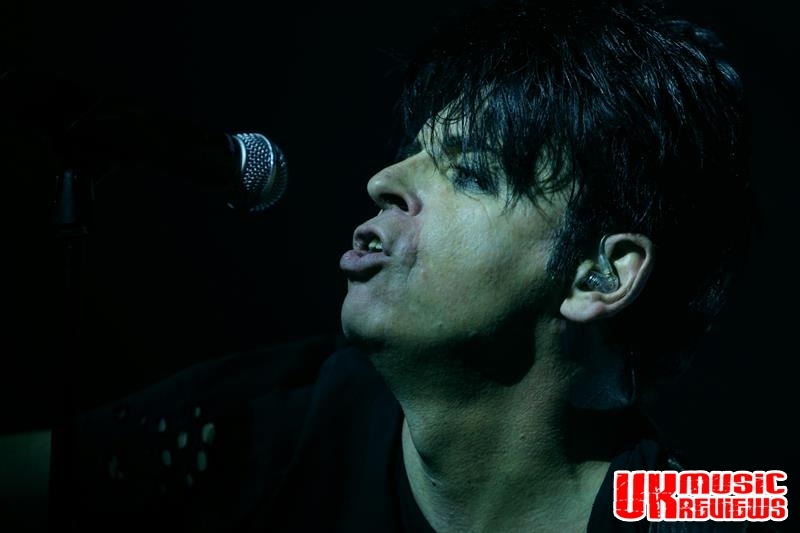 With a voice that is more profound and less reedy than in his Tubeway Army days, Numan entertained this knowledgeable crowd with the likes of Metal, Films, Observer and Tracks from his Principle Pleasure album, whilst Remind Me To Smile was his first visit to the Telekon album with its softened, less austere electronics. 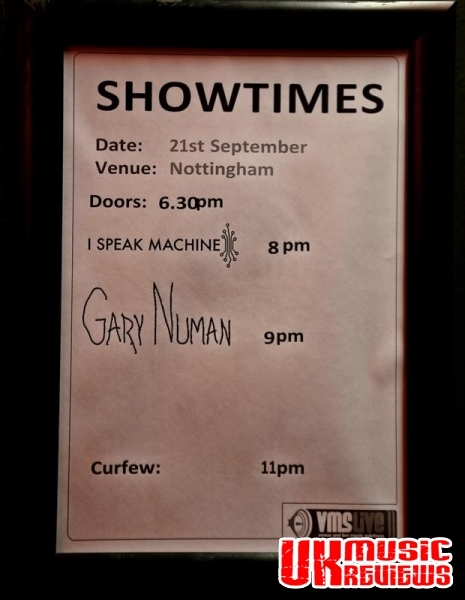 Last night saw Numan rework and energise the music that sound tracked the teenage years of much of the audience. 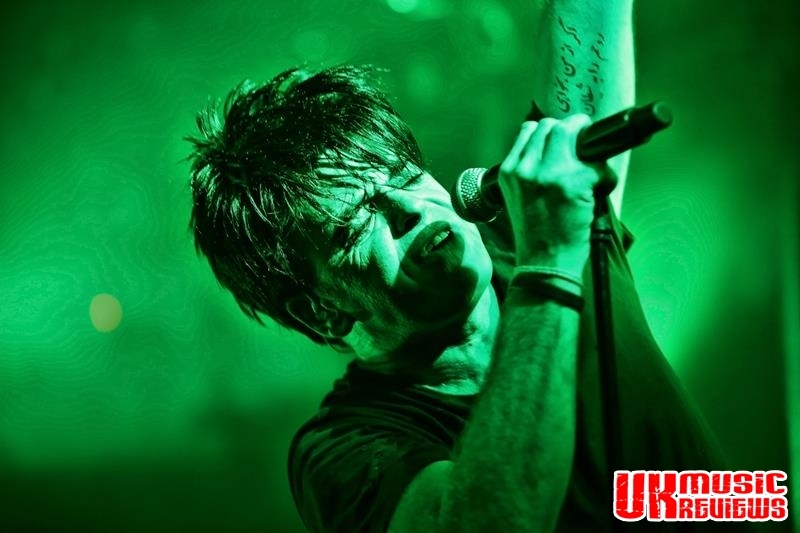 Wrapping himself around the microphone stand, his icy vocal delivery on Me! 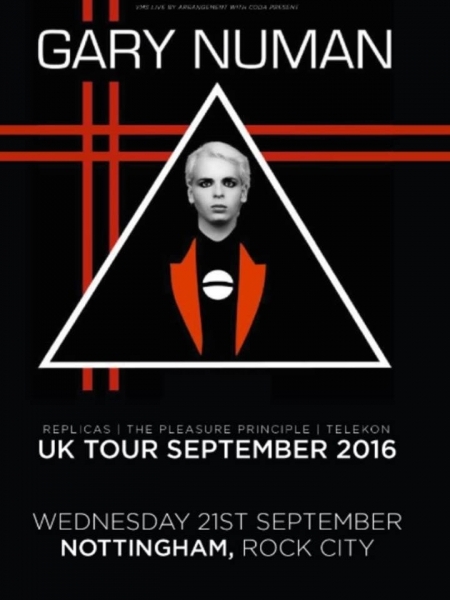 I Disconnect From You transported us all back to a time when carrying a Tubeway Army album to school made you stand out from the masses. 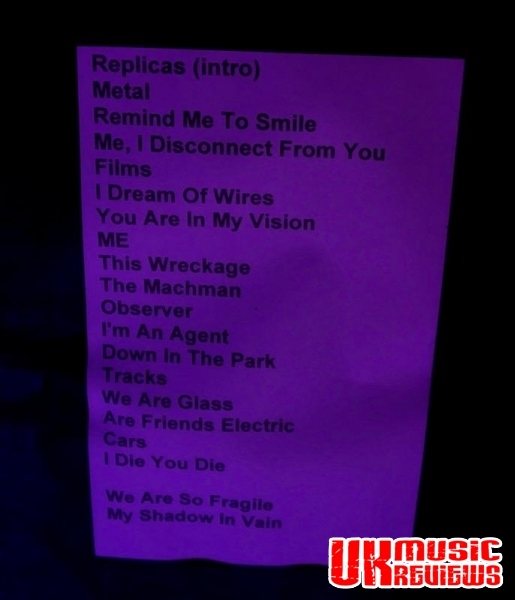 But it was Are Friends Electric? that had this crowd singing along, with its continual refinement that has now made it a communion call for himself and his dedicated followers. Cars followed; the hit from The Pleasure Principle album which still feels as relevant today, and finally Rock City woke up for I Die: You Die. 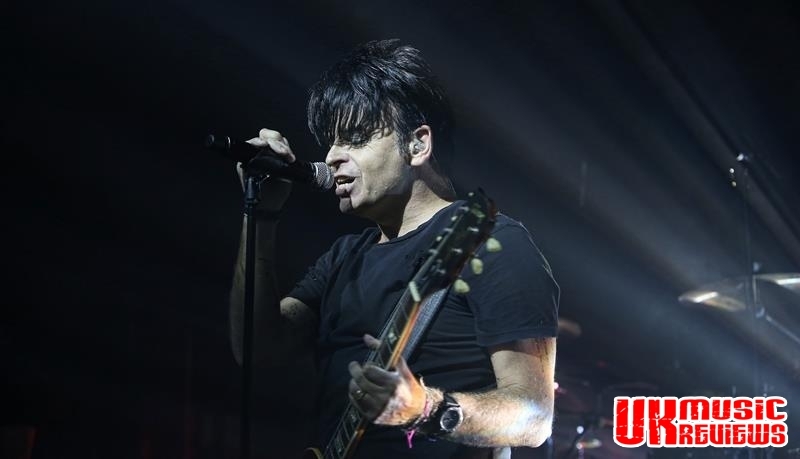 What Numan produced tonight was an evening of pure nostalgia, and on this performance, there were many who could have simply gorged themselves.